Our minimum order quantity per any single delivery week is 10 of any of our tray units. We have changed our discount structure to reward customers for purchasing quantity and ordering nice and early. We also discount where orders are arranged to be collected and paid for on collection. Orders can span several delivery weeks, but must be above 10 trays per delivery week. Click here for more information on our discount structure..
We offer a range of deliveyr methods to suit your circumstances. We generally ship in boxes for smaller orders and use CC trolley or pallet for larger orders (if you have specific requirements, please let us know and we can add the details to your account). Delivery to mainland UK is included in the price of our plants. Offshore islands, Highlands and Ireland are charged at £1 per tray unit over 40 trays and £2 per tray unit for orders of 40 tray units or less. For Continental Europe and further a-field, delivery is charged at cost and will be invoiced after the delivery has left if the price is not known before despatch. All royalty plants, distinguished by (P) or (VR) automatically come with a label, except liner varieties. Royalties are variable and are shown in pence per plant, but include this label unless specified otherwise. The (P) suffix depicts varieties which are protected by UK or EU law, or are intended to be protected. (VR) varieties are either protected by law in other countries, or exist with voluntary royalty agreements where we pay breeders and finders for bringing these varieties to the marketplace. In this way the re-investment is intended to encourage them to continue to breed and find new and improved products, bringing them to our attention for us all to benefit from. Where you see this suffix, we offer these royalty plants to our carpet bedding customers with a special concession on the royalty of these plants. We will only charge 2 pence per plant for our carpet bedding customers. Any labels ordered against plants will be delivered together with each plant consignment UNLESS we receive a specific label order. All our prices listed exclude Value Added Tax (VAT) which will be charged at the current rate where applicable. We will assume that varieties we have listed in our HERBS range are to be supplied as herbs and therefore VAT free. If you have not purchased from us before, you can either select to pay by credit card or if you prefer, you can open a credit account. To open a credit account, please click here to download an account application form. Once you have completed the form, please return it to us by post or fax it back to us on +44 (0)1579 351151. You can continue to order your plants whilst we open your account, just select the relevant payment option from within the shopping cart and we'll do the rest. Where credit for the Customer has been authorised by KPP, payment shall be due within 30 days of the date of invoice. KPP shall be entitled to interest on any overdue invoices at a rate of 8% over the Bank of England base rate. The placing of any order constitutes an acceptance of our Terms & Conditions of Sale available in the catalogue, website or on request. All plants remain the property of Kernock Park Plants until paid for. This list cancels any lists created previously by Kernock Park Plants. 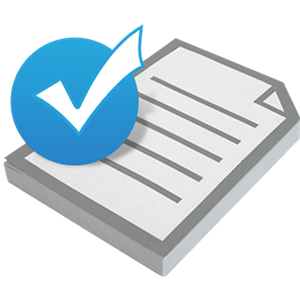 With each delivery we send out a feedback form which can be faxed or posted back to us. We really appreciate those who take the few moments to complete and send these feedback forms back to us. We hope that you in turn will benefit from action taken and changes that we may employ in response to your comments.